William “Bill” DeKruif was born June 5, 1928 to John and Grace (DeVries) DeKruif on a farm in Cameron Township, Murray County, MN. He was baptized and confirmed in the Christian faith and attended Chandler Country School near Chandler, MN. As a young man he worked at the Sioux Falls Meat Packing Plant for a short time and then farmed with his father until the mid-1950s. On August 25, 1950 Bill married LaVonne Overman in Chandler and they made their home on a farm on the Murray and Pipestone County line until 1968. They purchased his father’s farm at that time and remained on the farm till his retirement in 1992, when they moved into Chandler. Upon moving into town, Bill received his school bus license and drove school bus for nearly twenty years. Bill was a life-long member of the Chandler Reformed Church. He was very involved with caring for his parents when they were alive and enjoyed restoring tractors and watching game shows on television. He loved to spend time with his children and grandchildren. After his wife’s death in 2010, Bill remained in their home until May of 2018, when he became a resident of the Edgebrook Care Center in Edgerton, MN. On Tuesday, January 29, 2019 Bill died at the Pipestone County Medical Center at the age of 90. Bill is survived by his two daughters, Karen (Donald) Nellen of St. Croix Falls, WI and Rosanne Acton of Waukee, IA; two sons, Alan (Carol) DeKruif of Madison Lake, MN and Lyle (Denise) DeKruif of Mitchell, SD; eight grandchildren, Thomas (Jennifer) Acton, Elisabeth (Cameron) Wenzel, Aaren (Angela) Nellen, Janel Nellen, Jason DeKruif, Melissa (Tyrel) Wendt, Danielle DeKruif, and Brant (Kimberly) DeKruif; nine great grandchildren, Baily, Brynn and Blake Acton, Shelby and Wyatt Nellen, Locke Pfannebecker, Urijah and Ashlynn Wendt, and Henry DeKruif; five sisters, Johanna (Marvin) DeGroot, Wilamene Schoolmeester, Grace VanderBrake, Evelyn (Wallace) Runia, and Annette “Faye” (Arnold) DeKam; two brothers, Henry (Adrianna) DeKruif and John (Viola) DeKruif; many nieces, nephews and friends. His wife, LaVonne, his parents, and three sisters, Genevieve Eernisse, Elsie VandeVoort and Marie VanderTop all preceded him in death. 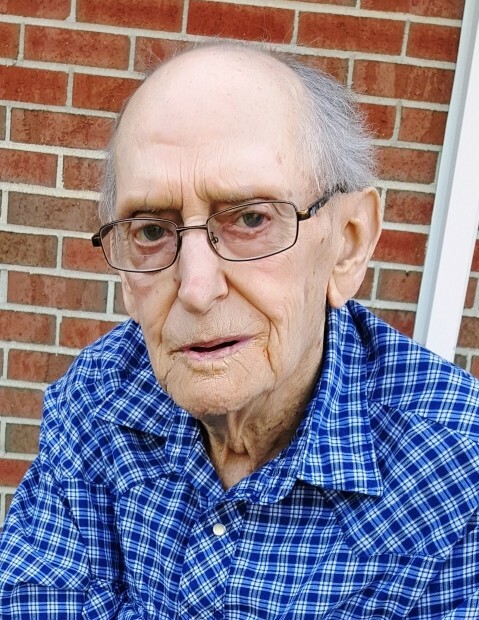 William ”Bill” DeKruif age 90 of Chandler, MN died Tuesday, January 29, 2019 at the Pipestone County Medical Center in Pipestone, MN. A funeral Service will be held 11:00 AM Saturday, February 9, 2019 at the Chandler Reformed Church in Chandler, MN. Visitation will be held from 5:00 until 7:00 PM Friday, February 8, 2019 at the Chandler Funeral Association Chapel. Interment will be held at a later date in the spring of 2019. A luncheon will be served in the church social hall immediately following the service.